Hailed by the Frankfurter Allgemeine Zeitung for his “eminent sense of tonal timbres and colours”, the Romanian-born pianist Eduard Stan has received international acclaim after emigrating to Germany in 1978 at the age of eleven. A native of the multicultural city of Brasov in Transylvania, he has widely performed across Europe and the US, past engagements taking him to major venues such as Carnegie Hall New York (WRH), Kennedy Center Washington DC, Konzerthaus and Philharmonie in Berlin, Konzerthaus Vienna, Salle Cortot Paris, Concertgebouw Amsterdam, Auditorio Nacional Madrid, Luxemburg Philharmonie, Palais des Beaux Arts and Flagey in Brussels, Rudolfinum Prague, Gasteig Munich, Musikhalle Hamburg, Konserthus Stockholm, Queen’s Hall Copenhagen and National Concert Hall Dublin. Reviewing his London Wigmore Hall debut, Classical Source praised his “pianism which was at its most commanding”. Eduard Stan has appeared at the Massenet, the Lille Pianos and the Piano à Riom festivals in France, the Enescu Festival in Romania, the Mid-Europe Festival in the Czech Republic, the Hohenloher Kultursommer and the Brunswick Classix in Germany, the Galway Schumann Festival in Ireland and the Bourglinster Festival in Luxemburg. In 2015, he gave his debut at the Julitafestivalen in Sweden. He is a regular soloist with orchestras in different European countries and has performed with major orchestras in Romania – the Enescu Philharmonic and the Romanian National Radio Orchestra in Bucharest, to name just two – under conductors such as Christian Badea, Shinya Ozaki, Lutz Köhler, Jin Wang, Theo Wolters, George Balan and Thomas Dorsch. In 2016, Eduard Stan will be performing at the Menuhin Festival in London as well as at the “Rencontres Musicales Internationales Enesco” in Paris with his Azoitei-Stan violin-piano duo. He will be playing the Schumann concerto in Romania and different solo programmes in Germany in Austria, in preparation for solo recitals in New York at the end of the year. His concert highlights in 2015 included solo projects at the Brussels Museum of Musical Instruments and in Sweden, as well as the opening concert of the Romanian Cultural Days at the Playfair Library Hall in Edinburgh. To end the World Exposition’s Cultural Programme in Milan, he performed a duo recital at the Auditorium San Fedele. The year 2014 has seen him in a solo recital within the series “Beethoven Inspires” in the city of Umeå, Sweden’s European Capital of Culture, as well as at Copenhagen’s Black Diamond and at the Ceresio Estate Festival in Lugano, among others. In recent seasons, Eduard Stan has performed at the London Enescu Society and has made debuts at the Palacio Fóz in Lisbon, the Casa da Música in Oporto, within the Warsaw Chopin Series and at the Royal Piano Festival in Cracow. An extensive solo tour brought him for the first time to Israel, with performances in Jerusalem and Haifa, among others. Eduard’s more varied chamber music activities included concerts at the Accademia Santa Cecilia in Rome, the Teatro la Fenice in Venice, the Kaiser-Wilhelm-Gedächtniskirche in Berlin and the National Broadcast Corporation in Bucharest. A sought after chamber musician “revealing a fine gift of restraint and an instinctive feel for balance” (The Strad), Eduard’s collaborations include violinist Nina Karmon, cellist Romain Garioud, clarinettist Johannes Peitz, viola player Aida-Carmen Soanea, as well as the string quartets Voces, Ad Libitum and Con Tempo. He has a particular affinity for Lied, which he performs with singers Peter Schöne, Rodion Pogossov and Britta Stallmeister. 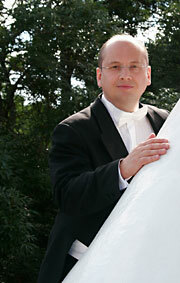 His most recent CD with baritone Peter Schöne for the Genuin label has been launched in 2012. A student of Arie Vardi, Karl-Heinz Kämmerling and Martin Dörrie, Eduard Stan graduated from the Academy of Music and Drama in Hanover, where he obtained his Master’s Degree. He has also benefited from lessons in orchestral conducting at the same institute. Over the years, Herbert Blomstedt, Matthias Goerne, Karl Engel, Boris Berman and Paul Badura-Skoda have taken a keen interest in nurturing his talent as a versatile musician. 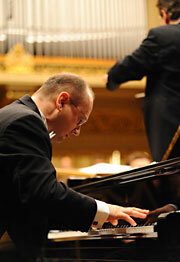 Eduard Stan was the founder and artistic director of the 2005 Enescu-Festival in Heidelberg/Mannheim. For his merits while promoting Romanian culture abroad, he has been awarded the Prometheus Prize 2009 by his native country.